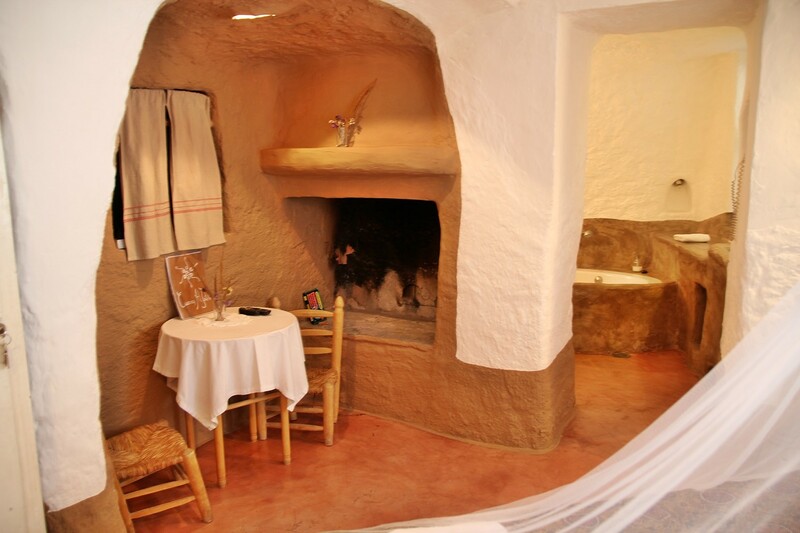 This cave room is situated in a cave house with three other guestrooms and has only a bedroom with a fire place and a private bathroom. 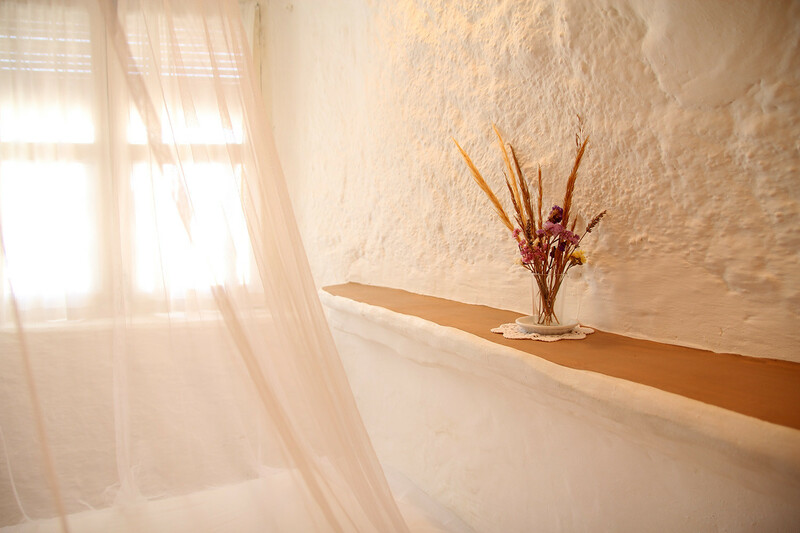 The room is comfortably and beautiful decorated, so you can enjoy a pleasant stay. 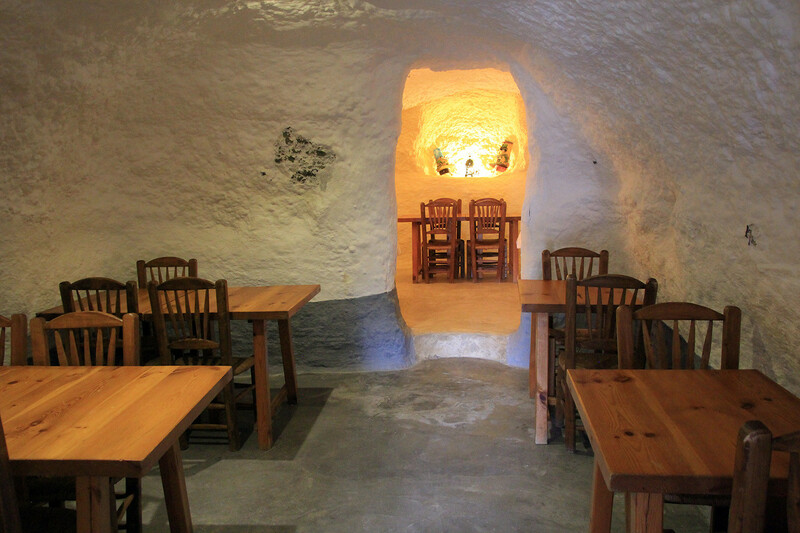 The cave does not have airconditioning, because it has its natural temperature that is situated between 18 and 22 degrees. 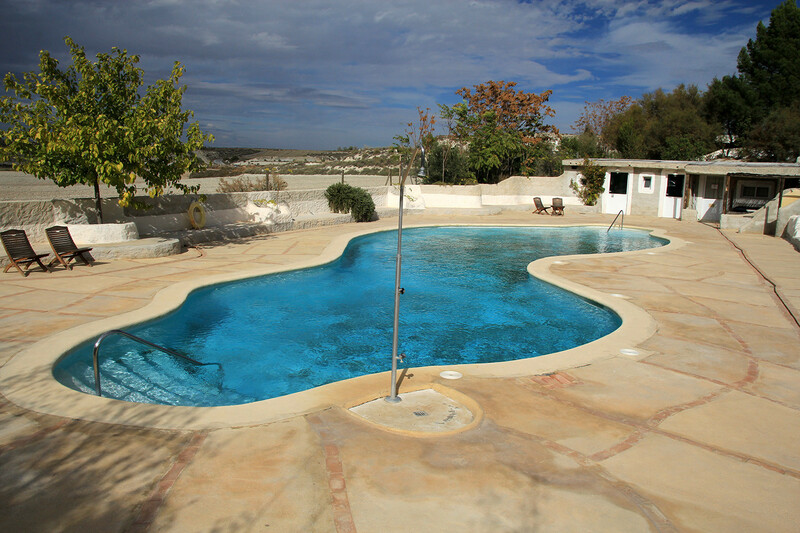 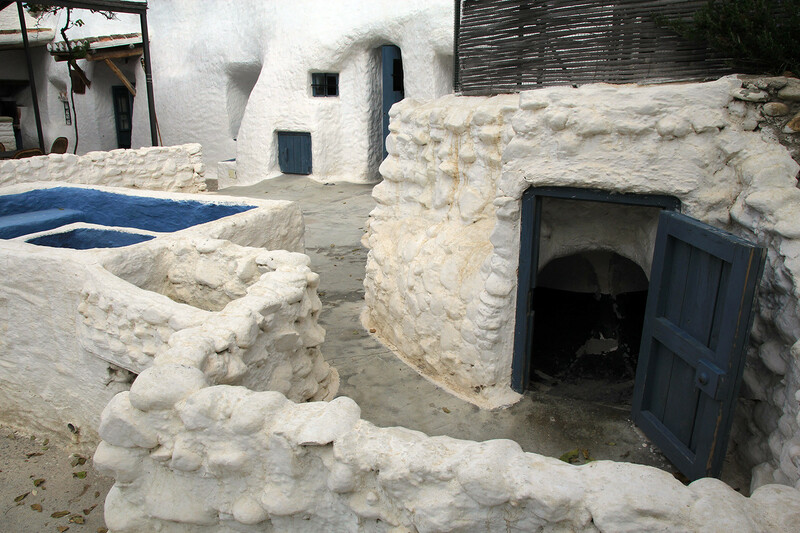 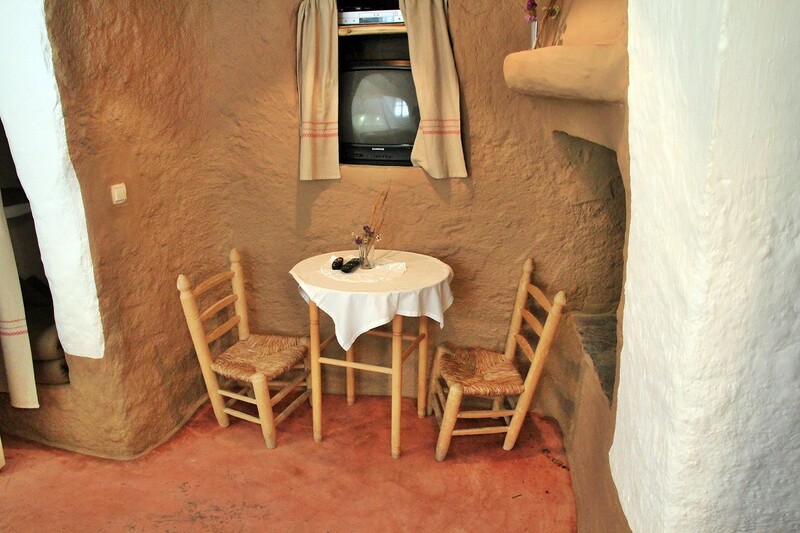 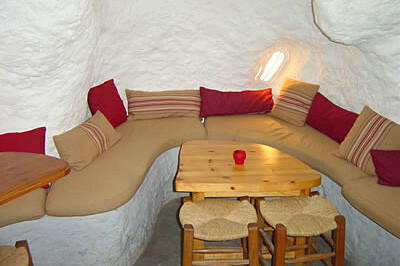 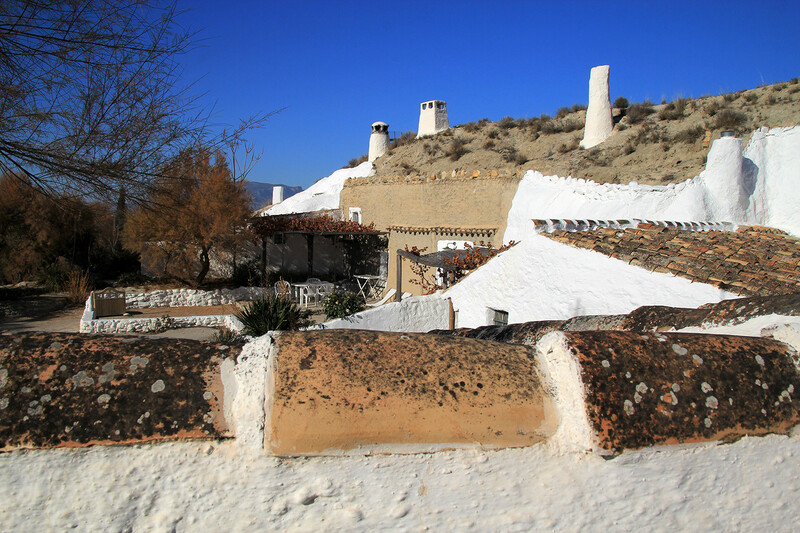 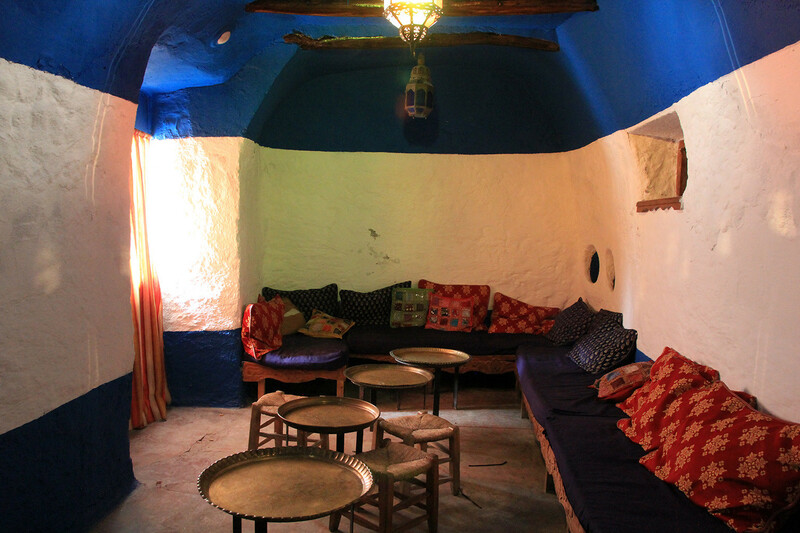 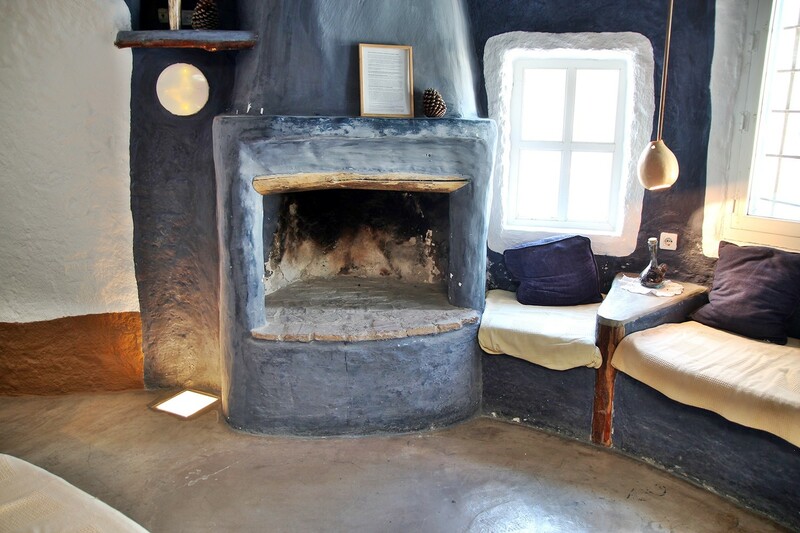 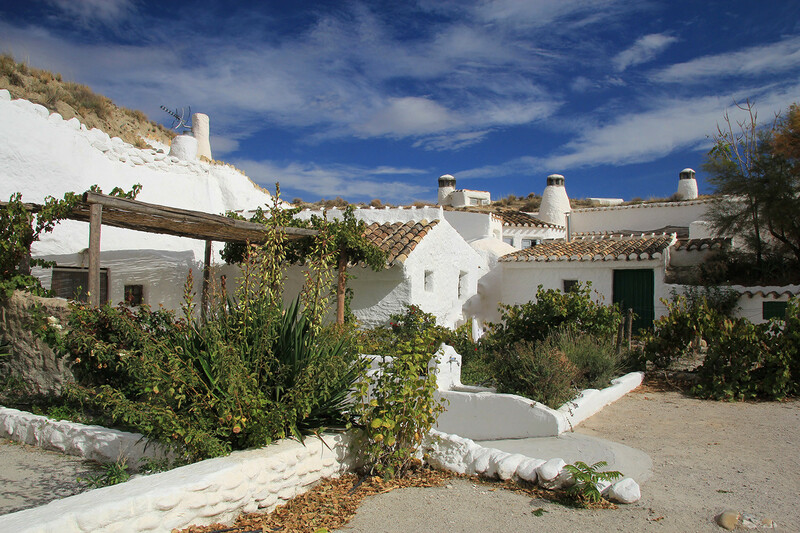 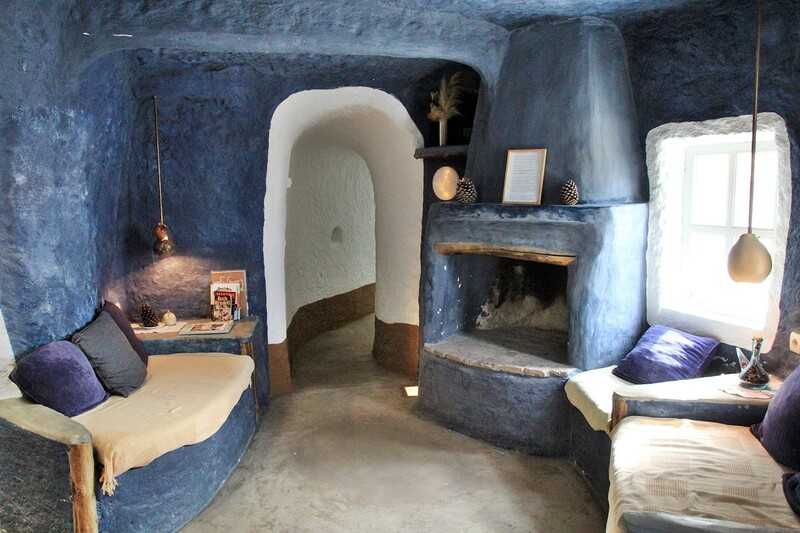 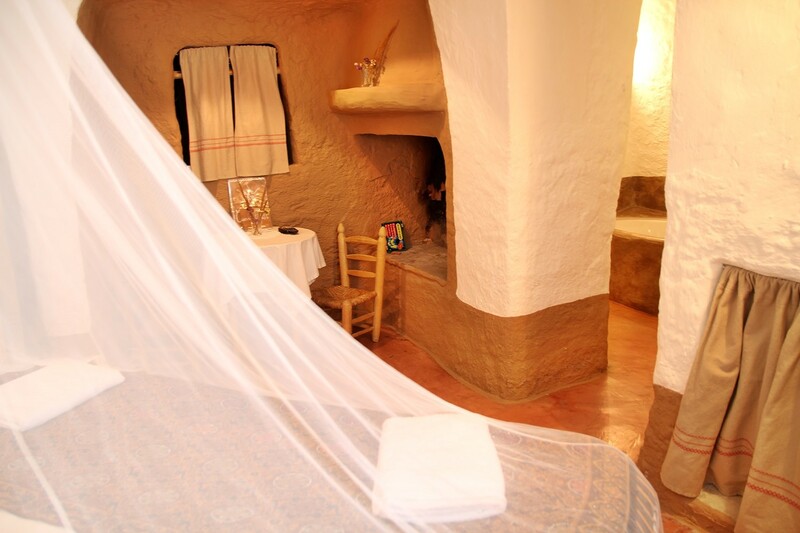 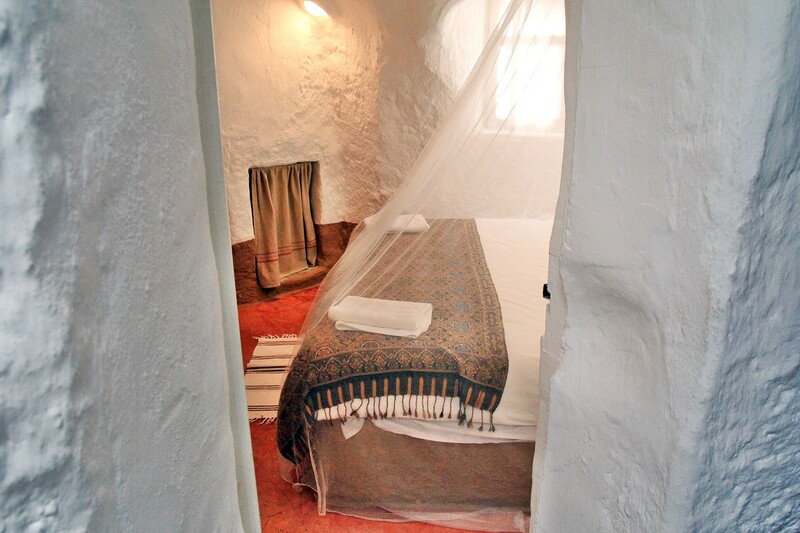 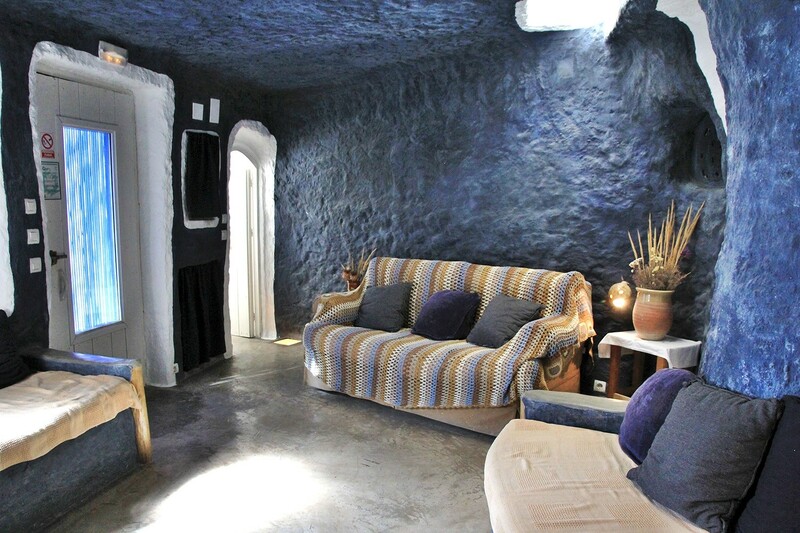 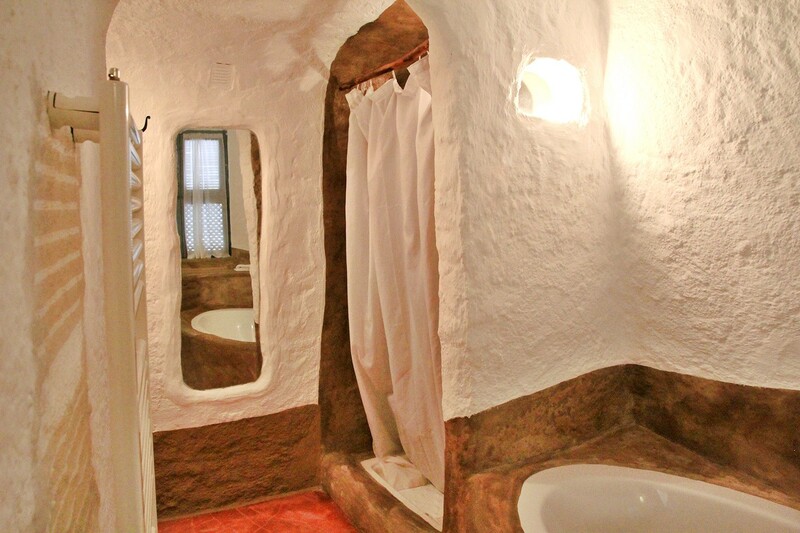 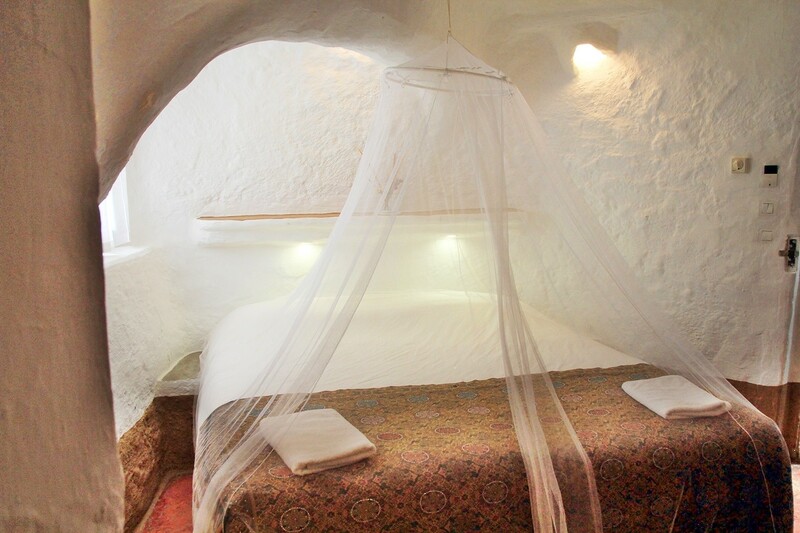 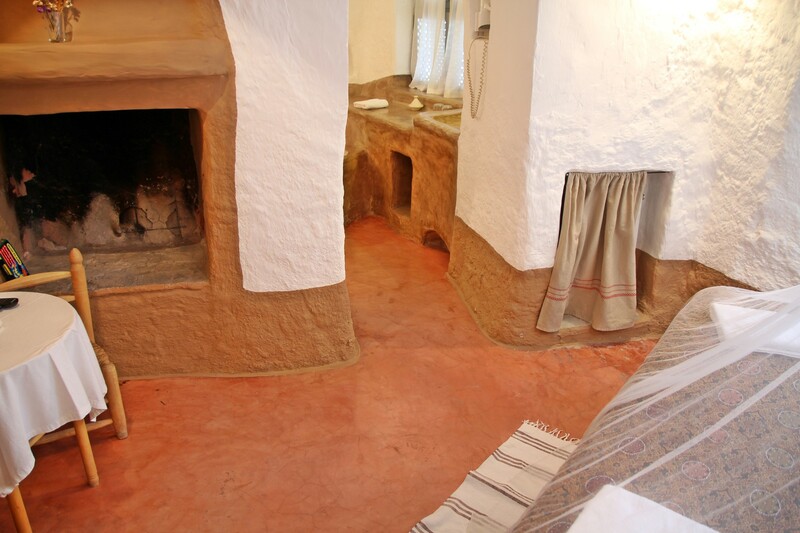 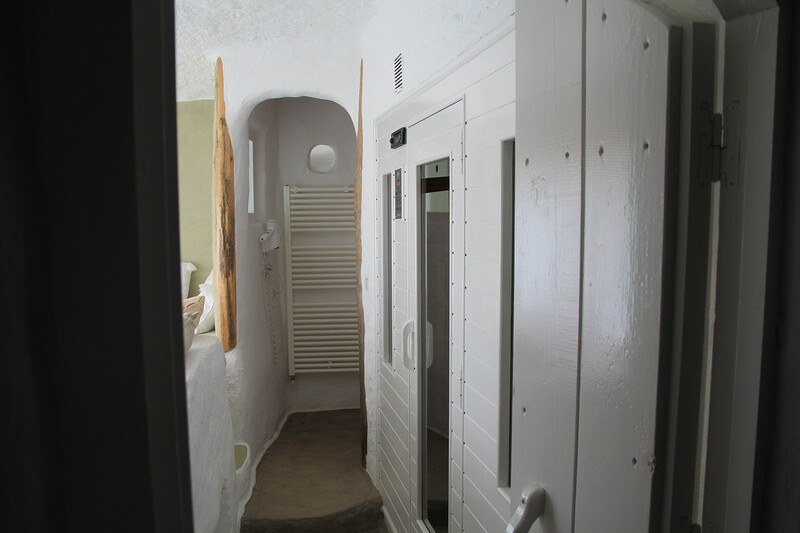 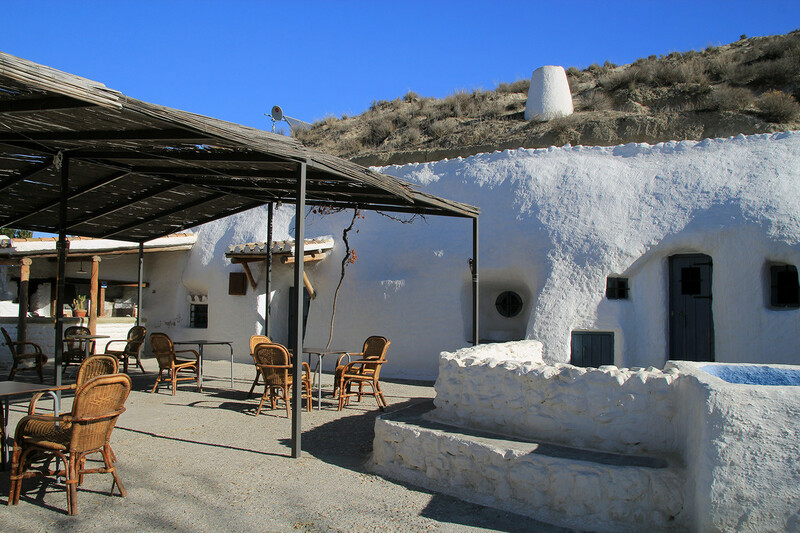 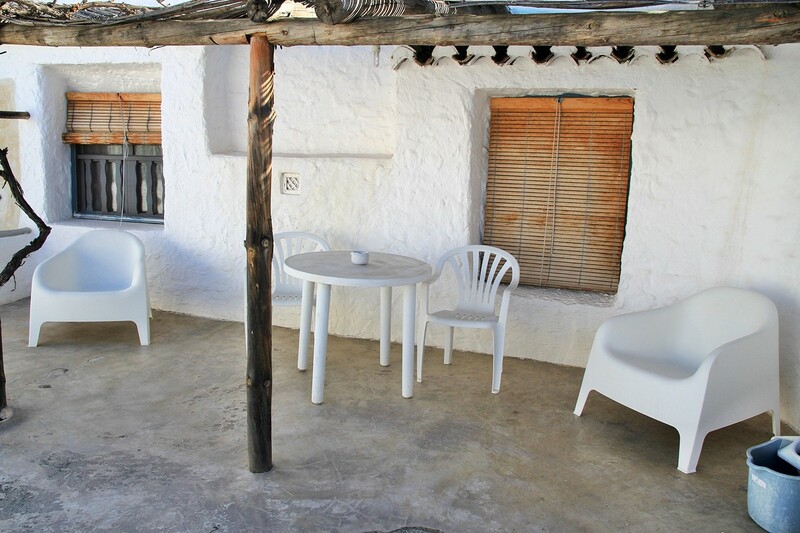 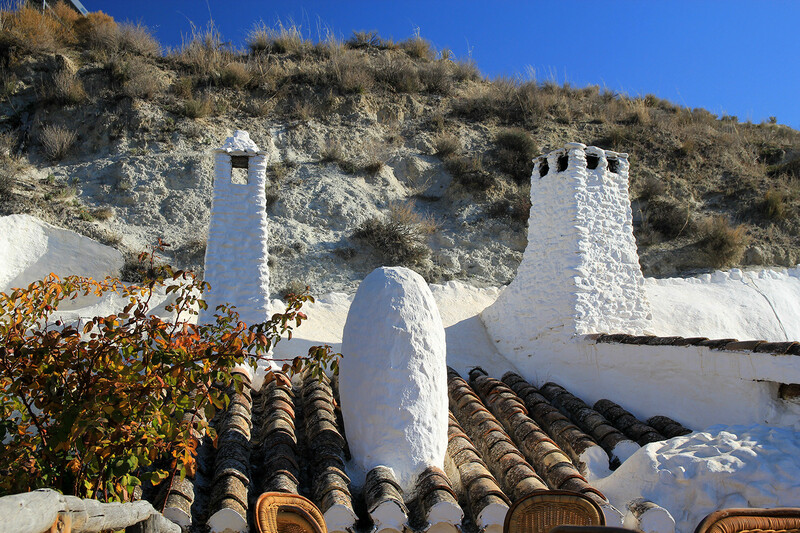 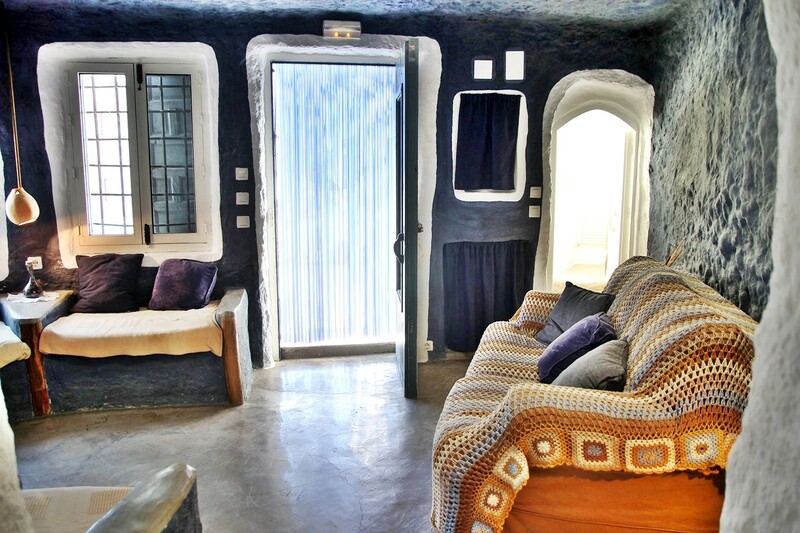 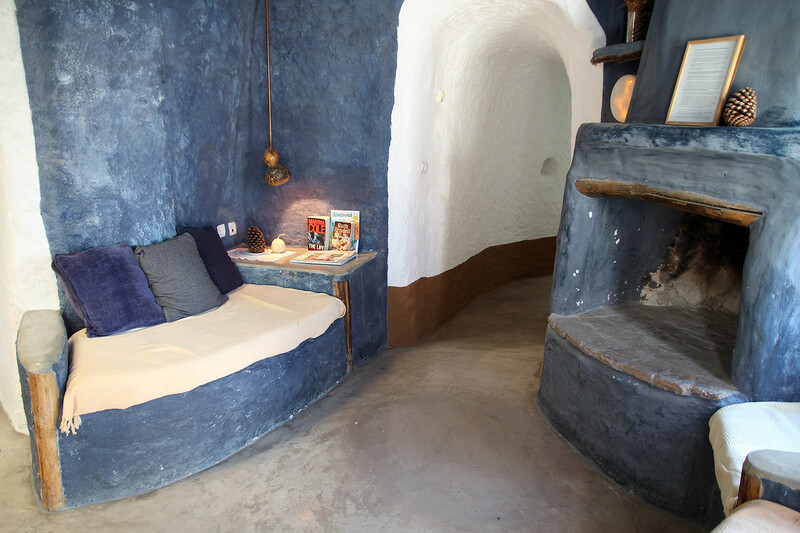 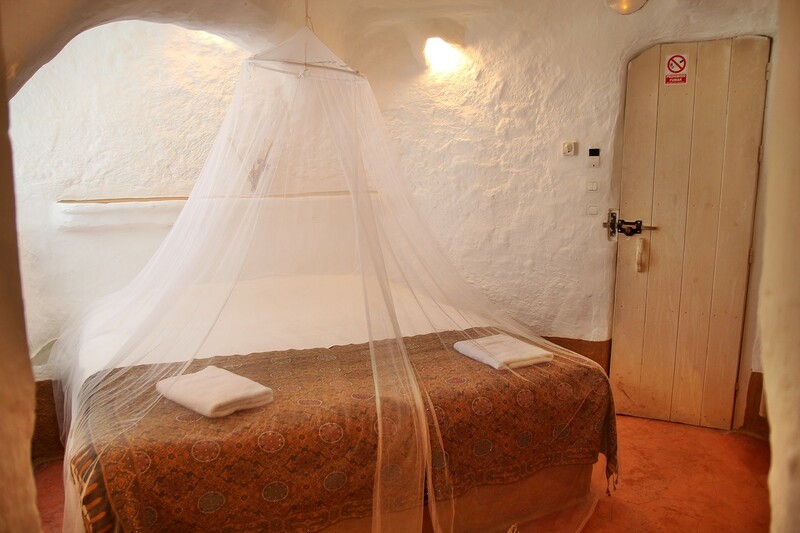 Guests may use a communal living room with fire place and also a sauna for free which are situated in the cave house. 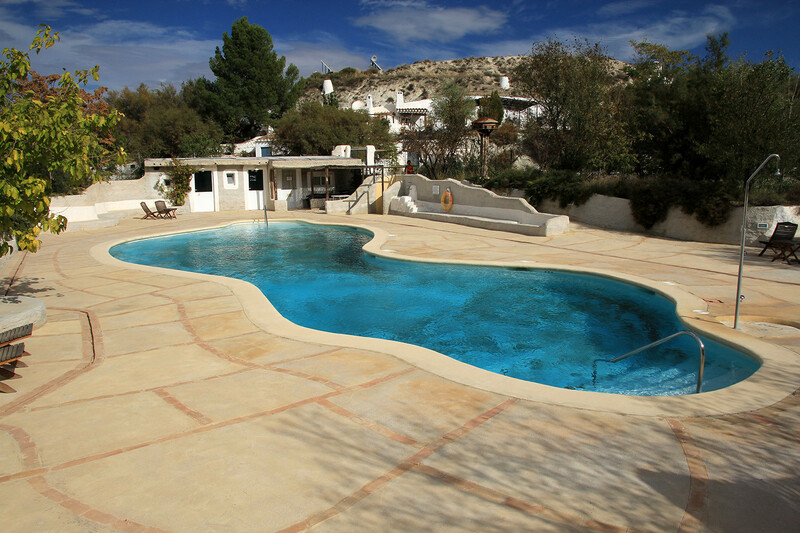 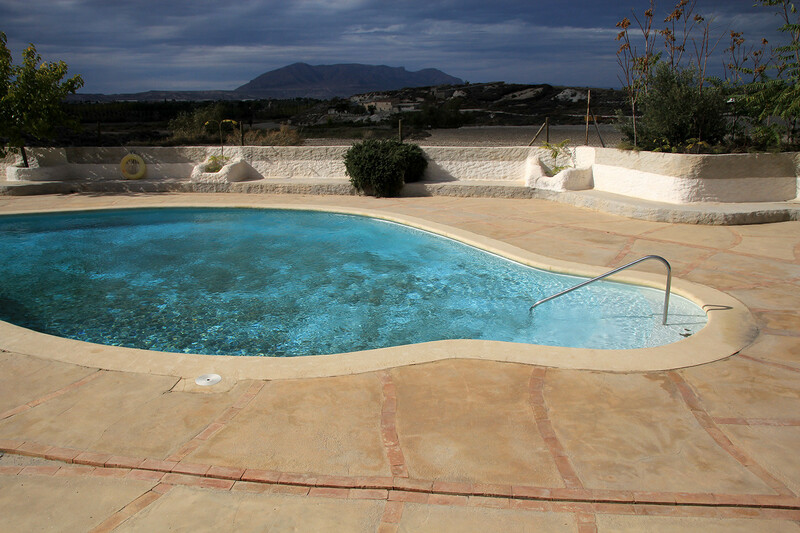 Outside is a big communal swimming pool, which is open from June till October, depending on the weather conditions. 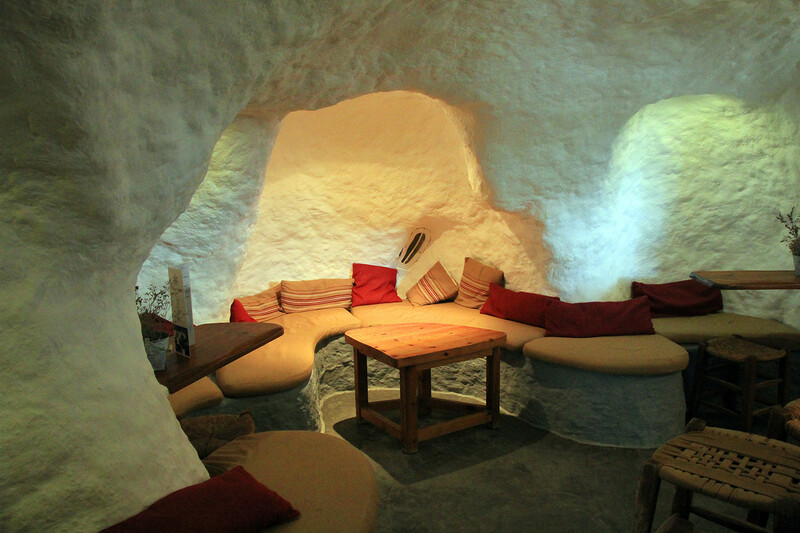 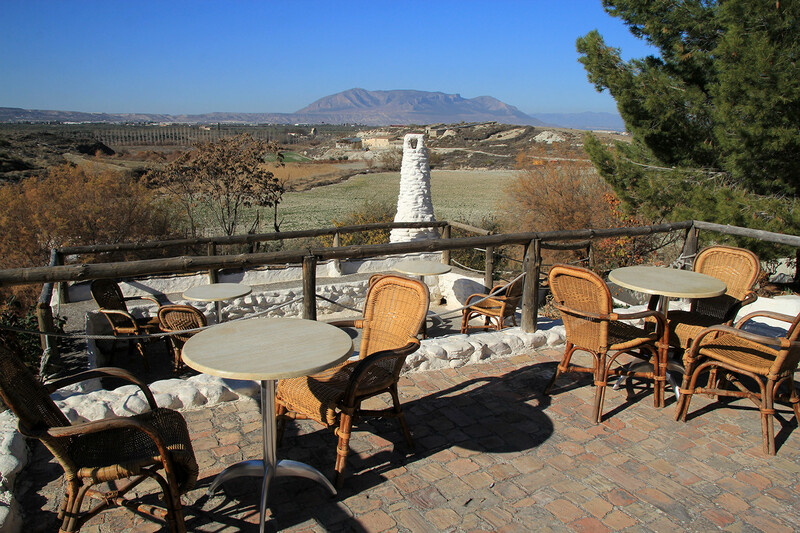 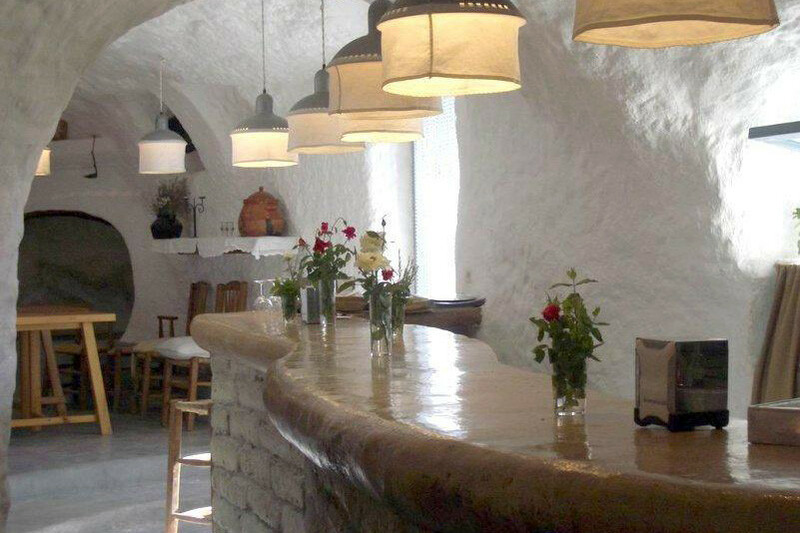 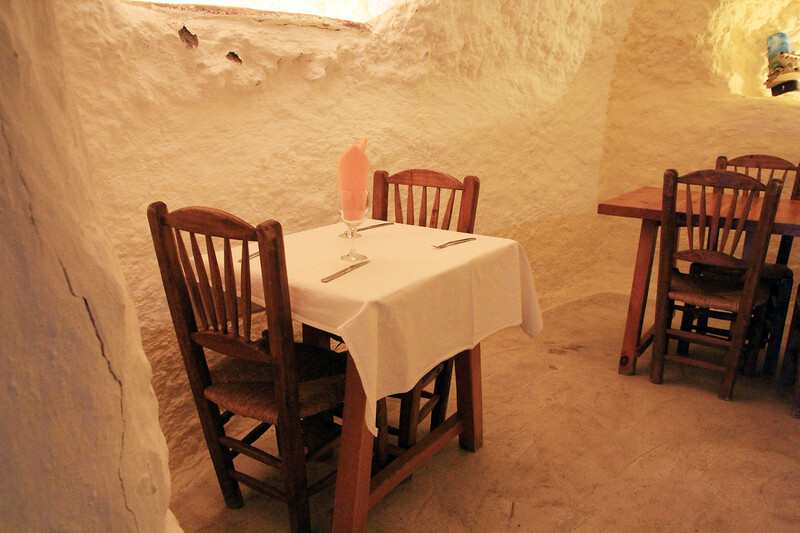 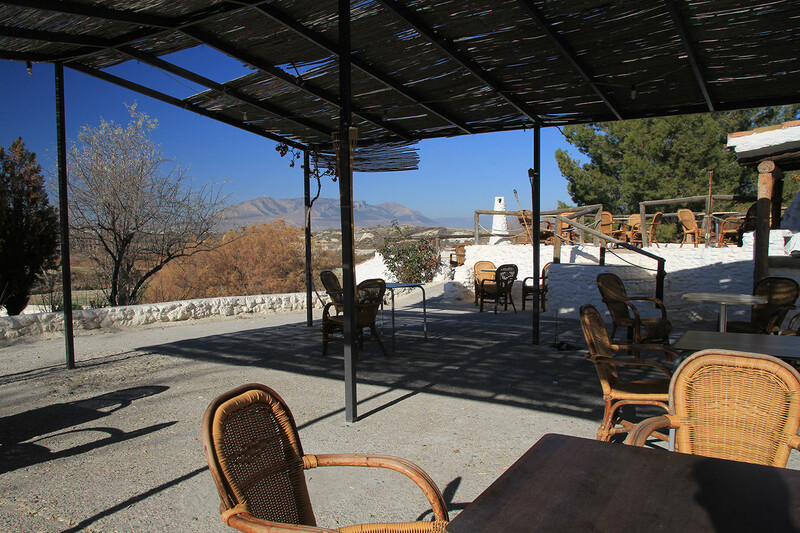 The complex has a cave bar, a tea room and a cave restaurant. 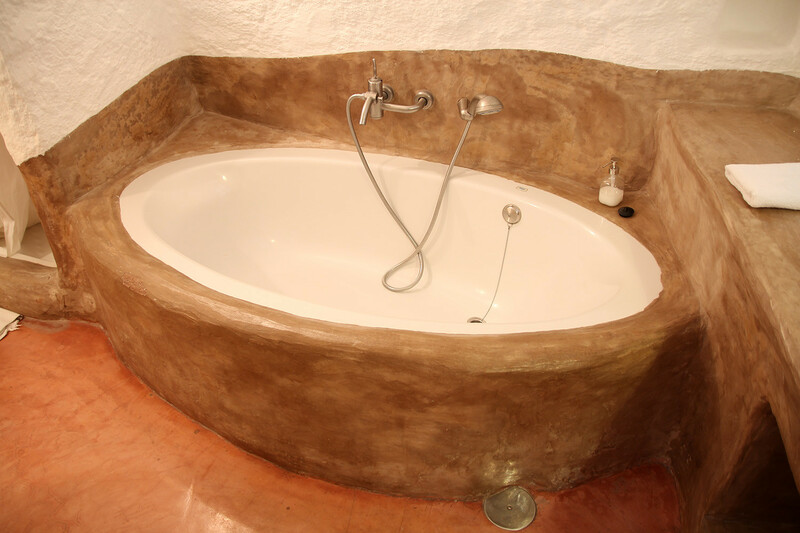 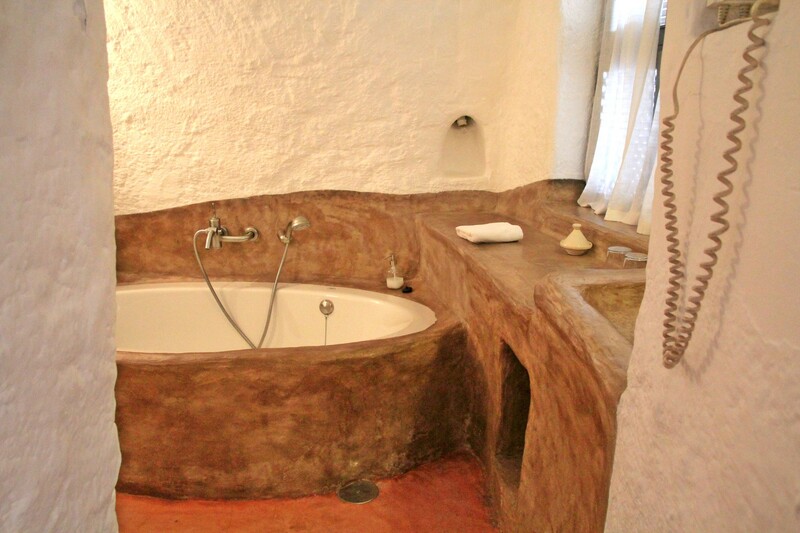 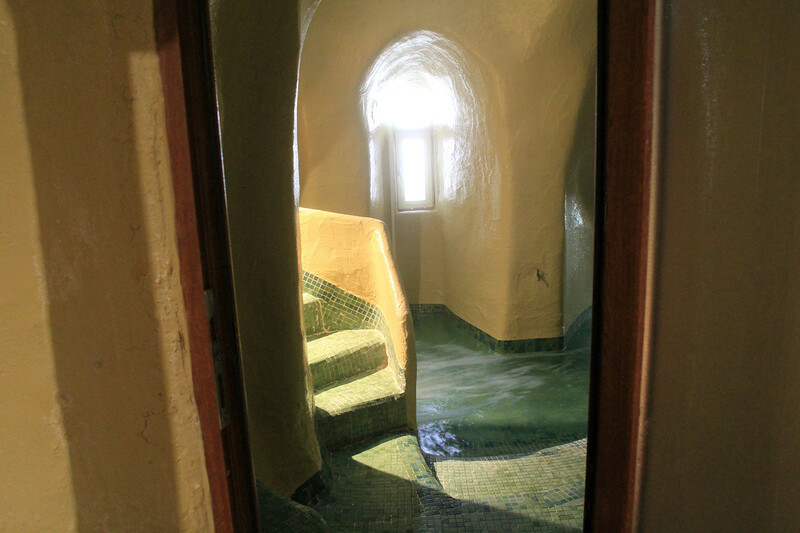 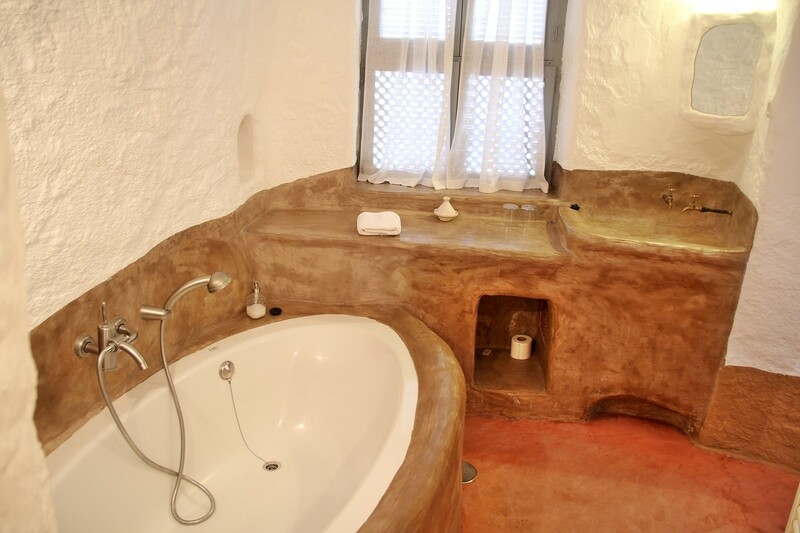 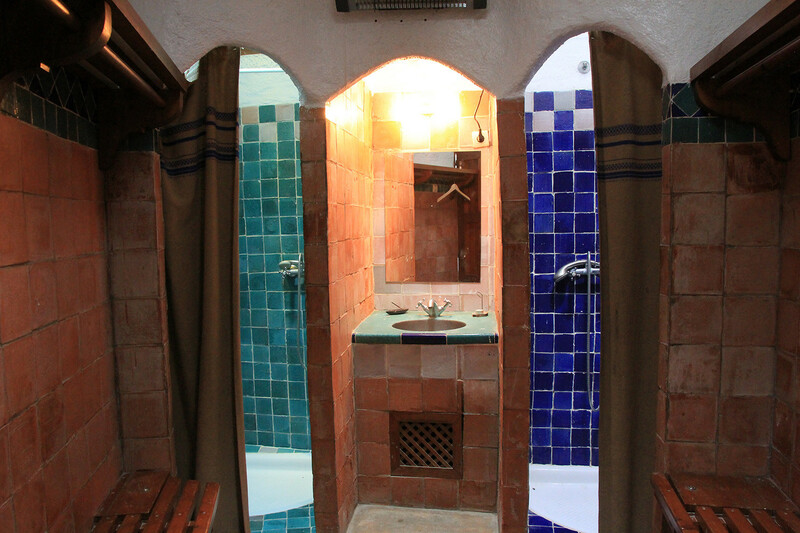 There are also Arab baths (a hamman), which can be used for an additional fee. 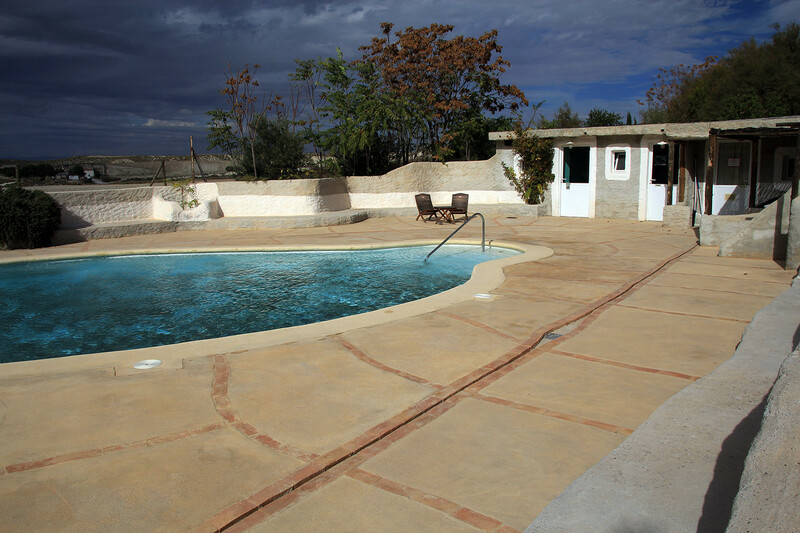 This place is an ideal base if you want to enjoy a romantic stay and discover the beauty of the Altiplano.